PSM Cutlery (formerly known as Plant Starch Cutlery) is excellent for hot foods with a heat tolerance up to 200° F. Reinforced handles provide extra strength and stability. PSM Cutlery is made with 70% renewable materials. 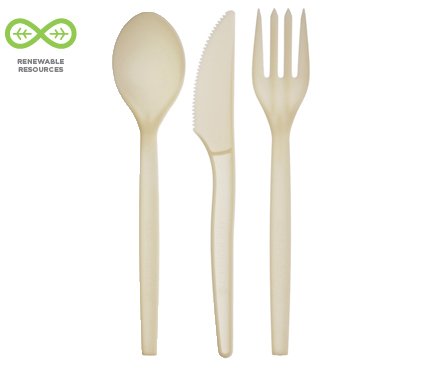 Compared to traditional cutlery made from 100% virgin plastics, this cutlery is a more sustainable choice. 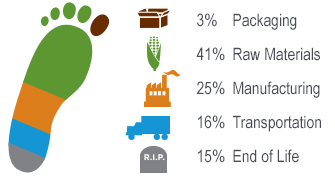 PSM Cutlery is not compostable or recyclable. Read more here. Stable and sturdy knives with reinforced handles. This item is not compostable. Heat tolerant forks for a wide variety of foods. Great for hot soups, stews, or a steaming hot bowl of chili.